Superhero Zero Trash Earth Day Event! Join us for our annual Earth Day Clean-up on Saturday April 27th from 9:00am - 12:00pm. Dress as your favorite superhero or superheroine! Come join us as we celebrate and clean up our playground & sensory garden. Snacks, trash bags, leaf bags, and disposable gloves providence by the Providence Parks Department. If you have them, please bring gardening gloves, rakes, and other gardening tools. Sample activities will be planting, mulching, and the general sprucing up our landscape. Capes will be provided for children as supplies last. We look forward to seeing you there! 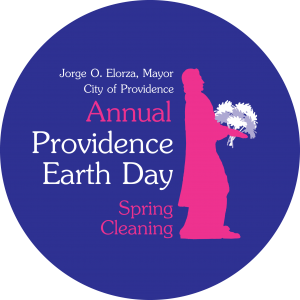 This event is part of the 7th Annual City of Providence Earth Day Spring Cleaning, hosted by Mayor Jorge Elorza. Please see our facebook event. Registration is not required to volunteer, but is appreciated for planning.